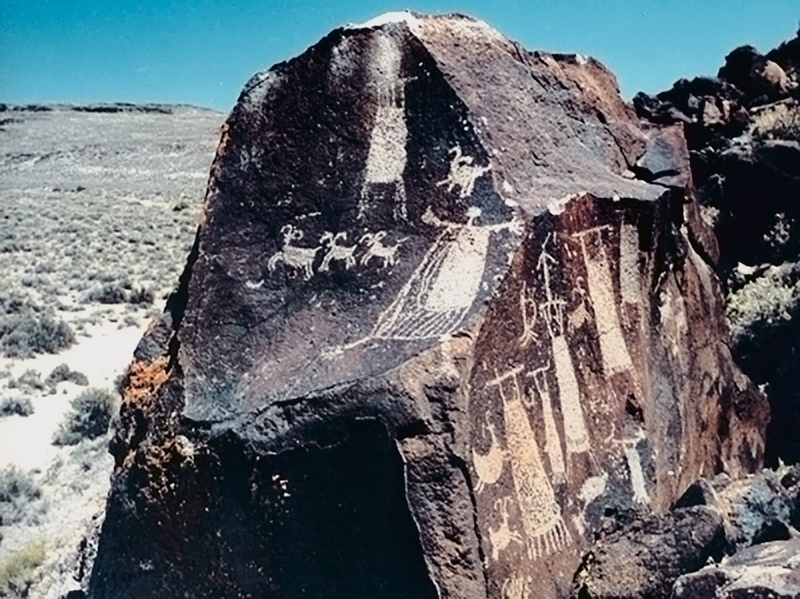 In a 90 square-mile area of eastern California, 35,000 petroglyphs have been formally recorded. A conservative estimate suggests an excess of 100,000. 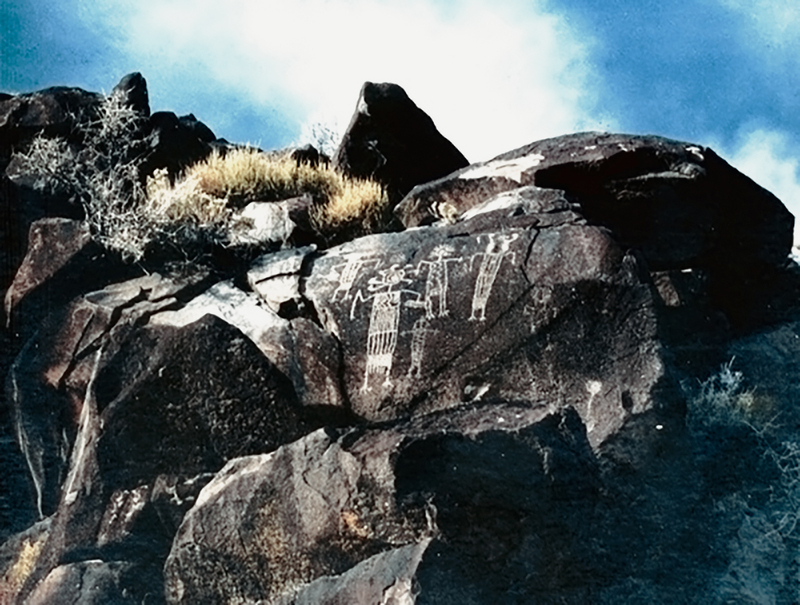 Why was this area, now known as the Coso Range, adorned with such a concentration of strikingly beautiful and highly consistent rock engravings, predominantly those of bighorn sheep? 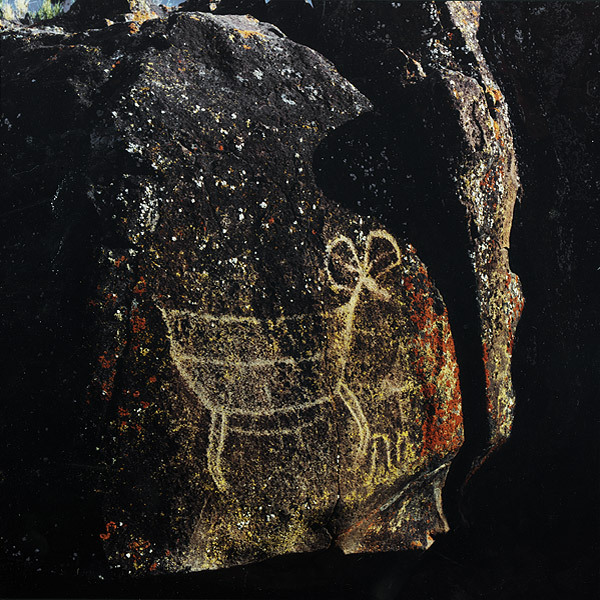 In this section, Dr. Alan P. Garfinkel examines the salient theories associated with this particular rock art; a rock art that represents the highest concentration of its kind in North America. 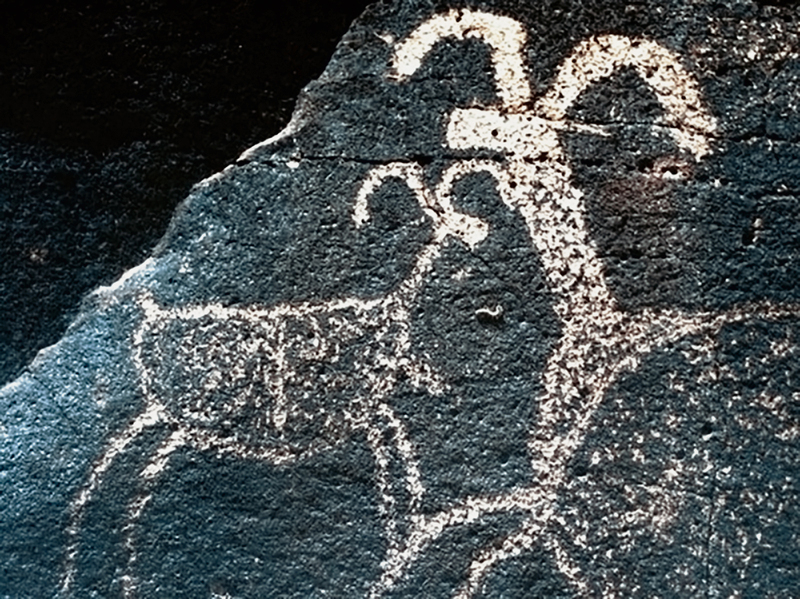 He brings to light the importance of the powerful bighorn sheep, and the animal ceremonialism that existed in this now arid region for the many generations of the Coso people. The Coso petroglyphs consist of rock carvings depicting animals, abstract symbols and anthropomorphic figures. 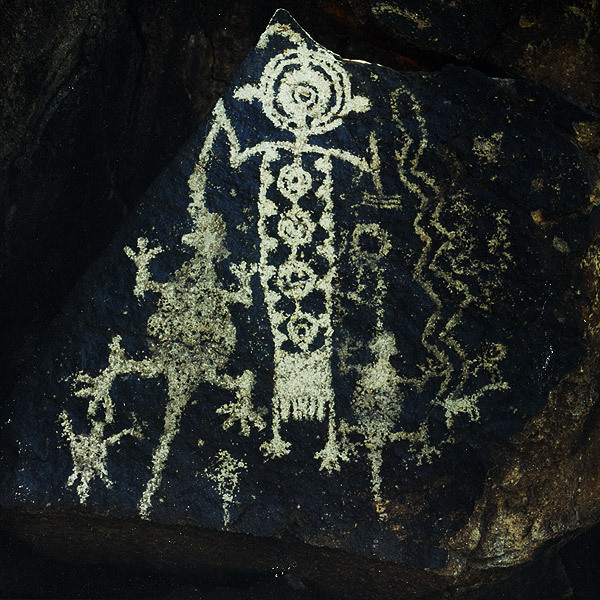 The art is located both throughout the higher elevation uplands and the broad volcanic lowland drainages to the south, and is typically found on large outcrops of basalt that form extensive escarpments. These outcrops have developed a dark brown patina - or desert 'varnish' - that when pecked or scratched reveals the lighter heart rock beneath. The more abstract symbols consist of grids, nested and bifurcated circles, shields, patterns of dots, and parallel and radiating lines. 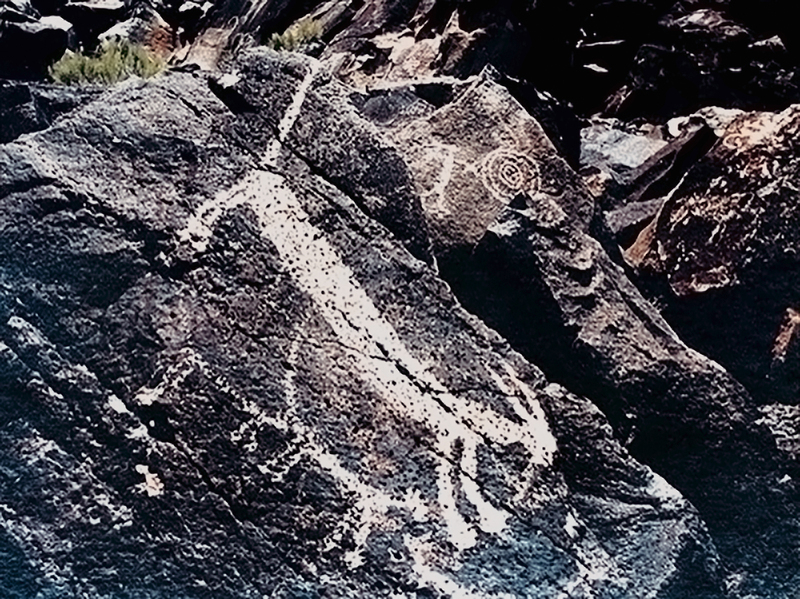 The representational figures consist of bighorn sheep, deer, mountain lions, dogs, chuckwalla, turtles, snakes, quail (rare), and animal-human conflations. Also recognized are bullroarers, dancers, and rectangular "medicine bags" or purse-like figures. Also one can identify men adorned with sheep horn headdresses, hunters wielding atlatl and spears or bows and arrows. 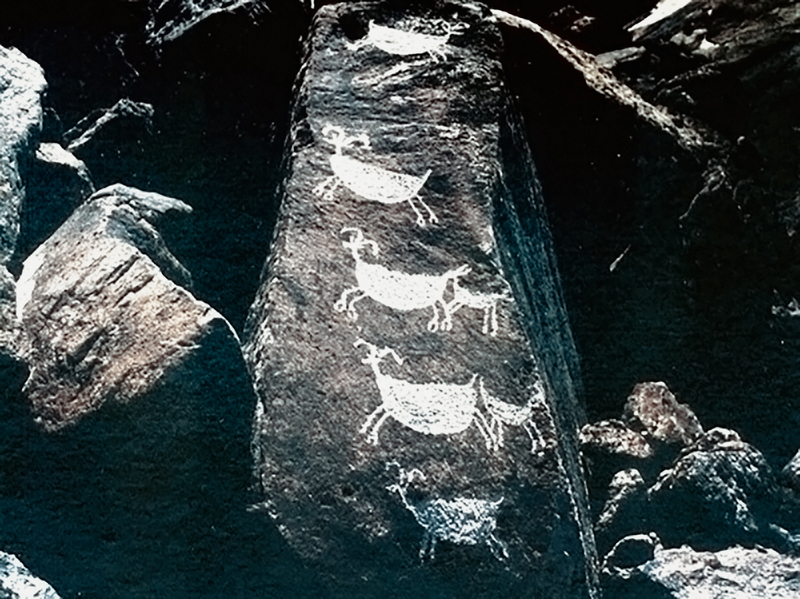 The petroglyphs were created by pecking, grinding, or scratching into a rock's surface. They have been dated between 10,000 and 1,000 years old, based on associated archaeological evidence such as the remains of dwellings, hearths, or flaked stone artifacts such as obsidian arrowheads. 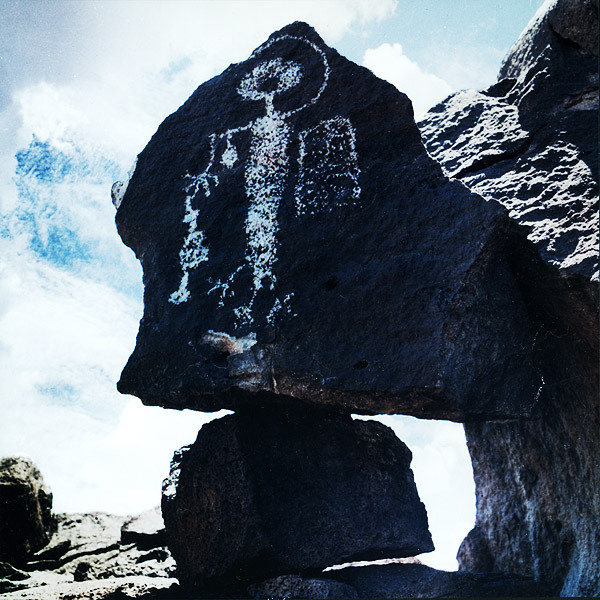 The age of these rock images has also been estimated using an experimental dating technique. Ages are calibrated using X-ray fluorescence trace element analysis. 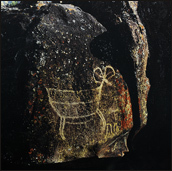 Clearly, the dating of the habitation does not prove the creation of the art, but unlike cave paintings that can be dated using radio-carbon techniques based on their carbon content, archaeological associations are a useful dating tool for rock carvings. 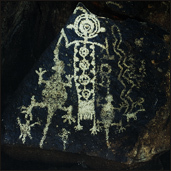 As with rock art found around the world, the art provides a window into the rituals and beliefs of our ancient ancestors. However, because there are no living practitioners with direct explanations, interpreting the art remains speculative. However, in the following paper by Dr. Alan P. Garfinkel, he argues that there certainly is evidence to give us an understanding of what the engravings represented and why they were carved.